Turkey has nearly 20.000 years of a rich and a long history. It has been the home of hundreds of great civilizations starting from Lydians, Hittites, Romans, Greeks to Ottomans, bearing thousands of languages before it became Turkish Republic in 1923. Anatolia is considered to be the birth place and the cradle of trade which begun with the invention of coinage by the Lydians who are believed to be one of the oldest habitants and the first civilization to form democracy. With the invention of money, the exchange of goods reached another dimension. 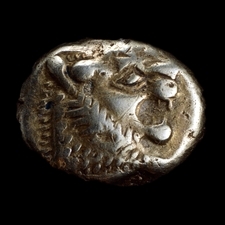 The dating of the first stamped coins is one of the most frequently debated topics but according to the evidents the most common opinion is that they were minted at the beginning of the reign of King Alyattes who ruled Lydia c. 610-550 BC. Turkey has always been an important trade center because of its strategic geological location forming a bridge between Europe and Asia. Hence many important trade routes have led through the Anatolian lands for centuries. One of these trade routes was the Silk Road which is believed to be over 4000 years old. It was the biggest trade road in the world, stretching as far as 7000 miles. The famous Silk Road was a trade path and a corridor in full operation and the main part of it crossed from one point of Turkey to the other. Before the invention of coins, market places dating back to theMiddle Ages, expanded as shopping centers. People would shop for goods at a weekly market in nearby towns in exchange for bread, pigs, rare seashells, whale's teeth, and (often) cattle which were the first instances of money with intrinsic value. Currencywas introduced as standardized money to facilitate a wider exchange of goods and services. This first stage of currency, where metals were used to represent stored value, and symbols to represent commodities, formed the basis of trade. Today the unit of Turkish money is Turkish Lira. Thecurrency codefor Lira is TRY, and thecurrency symbolis . As the century wore on a tremendous variety of goods and manufactures were steadily made available for the urban middle and upper classes. This growth in consumption led to the rise of 'shopping' - a proliferation of retail shops selling particular goods and the acceptance of shopping as a Cultural Activity in its own right. Specific streets and districts became devoted to retail. Over the course of the two centuries from 1600 onwards, the purchasing powerof the average person steadily rose becoming an important reality of the daily life. From there on shopping innovations started expanding rapidly and in some ways it turned in to an important Cultural Trademark and a part of our daily social lives. Nowadays, Turkey is not only rich in shopping alternatives ranging from historical shopping locations to modern shopping malls but also the symbol of diversity of products. 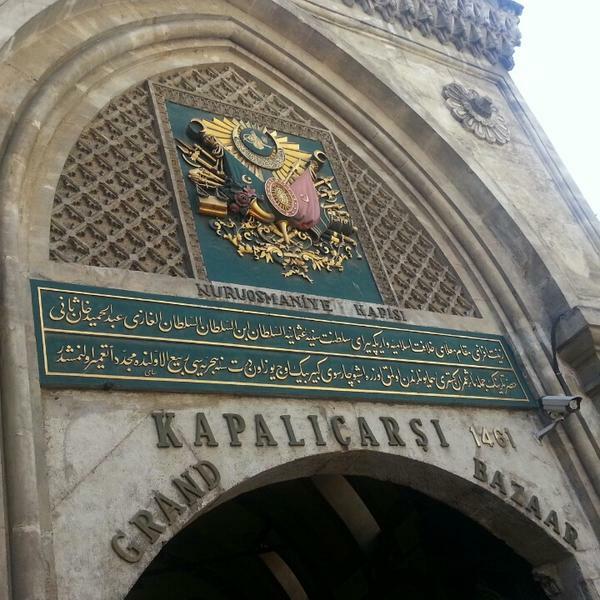 The world's first shopping center, the Grand Bazaar, was built to revive the city by the time Istanbul was conquered and is of great importance even today. These historical shopping centers where craftsmen offer a variety of artifacts to their customers are among the must-see attractions of Turkey. The hans and caravanserais in major cities of Turkey, once located on important trade routes like the Silk Road, Spice road and Kings Road, still serve as local shopping centers as they did in the past. Today, more than 300 modern shopping malls spread all over Turkey offer quality products in addition to entertainment opportunities. Most of these malls open 7 days a week from 10 am to 10 pm and are big enough to offer all sorts of brands at one location. This continuous liveliness has left a lasting cultural, intellectual and artistic legacy and also built a solid economical base for the future in Turkey. This base led Turkey to its current position where it is considered as one of the world's leading producers of textiles, agriculture, electronics and home appliances. One of the main shopping attractions in Turkey is the hand-knotted carpets and kilims infused with hundreds of years of tradition, with millions of varieties from new to antique and silk to wool. In the annually held International Carpet Design Awards, Turkey is one of the most reward winning countries for its handmade carpets. 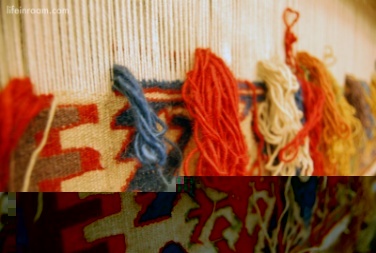 The techniques used in handmade carpets were brought to the Mediterranean coast by the Seljuks in the 12th century. 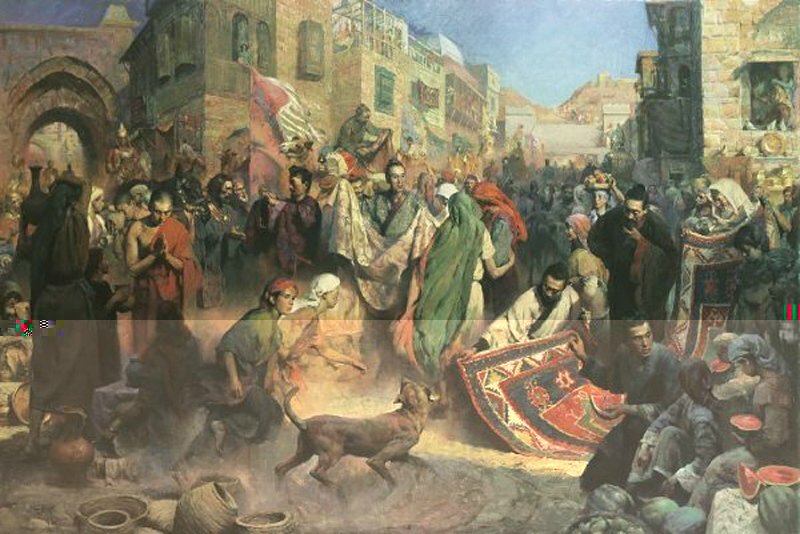 The demand for carpets in different periods dictated the pace of the development of carpet weaving. The motifs and colors of Turkish carpets and kilims constituted an important medium of expression for the weavers and their community.The most important feature in terms of involved cultural heritage is the nature of the motifs employed. The Turkish craftsman possessed the ability to imbue his hand-woven fabrics with his own identity, his social position and communal traditions. The tradition lives on throughout the country and sold in specialty boutiques and shops in every corner of the land. What makes these carpets and kilims so special is the fact that they are all hand-made string by string by talented weavers, some inspired by the Ottoman times, some from modern times, some from ancient or modern arts and etc. It has become an important component of our culture. Turkey’s competitiveness in this sector with other markets derives from the fact that the harvested cotton is easier to process because of its quality. Usually the raw cotton goes through 3 processes before it becomes wool but in Turkey this process is decreased to 2 processes which provide less need for labor ship. Thanks to our devoted artists and craftsman and also our Government with their never ending support for this sector, Turkish Carpet Sector is still fully standing. By hanging on to our values and culture throughout the centuries, Turkey is still an incomparable brand with its handmade unique designs. one's social status. Special and meaningful jewelry items are often given to mark an important rite of passage such as reaching the age of adulthood in primitive societies. In modern cultures, this has transformed into a tradition of allowing a young girl to wear pierced ears when she is deemed mature enough or giving a young man his first adult watch, often at a celebration. In medieval times, those with authority often carried special signetrings,pins, or even chainnecklacesto indicate their power to their often illiterate subjects. Today, we choose jewelry to mark our marital status viaengagement ringsandwedding bands but body decorations do not always have to have deep commemorative meanings. Many people choose their items simply because they like the items. A Western style outfit isn't complete without bright silver accents and turquoise. The rich history of Turkey is much reflected in the jewelry we see today in terms of methods and designs which is the most important feature of jewelry making. Inspired by Hittites and many other civilizations that lived in the central and western Anatolia, the making of jewelry using precious metals and gems has left its strong influence to this day. Craftsmen who lived back then in Western Anatolia, which was also a commercial center in the world, created an "Oriental” synthesis by combining their western lands with the east they observed. 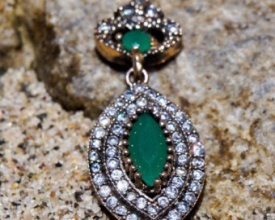 Turkish Jewelry Industry, which continues to grow with a stable and constant development, has become one of the prominent countries in the silver and jewelry market around the globe with momentum gained in the recent years. Turkey is among the top 5 countries in terms of world's silver jewelry production. 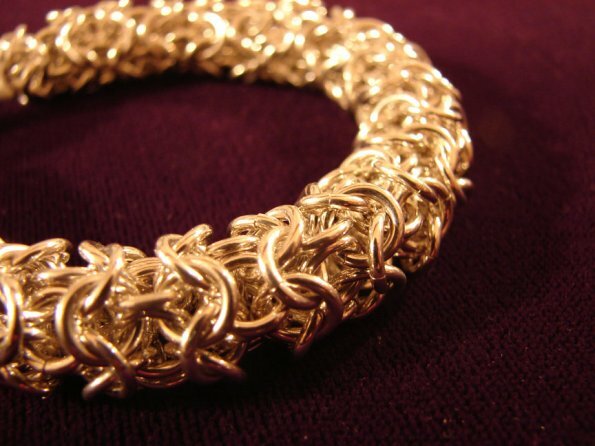 There is an incredible range of jewelry available, from simple beaded necklaces to opulent designs that can rightfully be called wearable works of art, and from funky modern pieces to refined and elegant classics, all carefully designed and manufactured with precious and beautiful gems and stones. The jewelry sector in Turkey has the capacity to meet any demands of its international clients and to offer a dazzling array of choices with perfection. It is also possible to find excellent quality leather apparel such as coats, jackets, skirts, dresses, vests, hats, gloves, handbags, wallets and many other items that are carefully prepared and tailored. 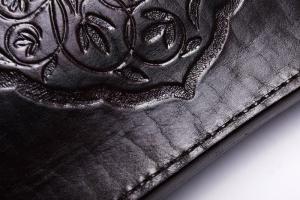 The leather industry is one the oldest industries known to mankind. The segment of Turkish leather goods in the world market is high expertise and talented hand work makes work force of the sector highly skilled and specialized. In terms of quality, Turkey is relatively able to offer higher standards compared to other countries for many reasons. In some parts of Turkey the earth crust is quiet thick reaching nearly 1100 centimeters which provides a much healthier flora and fauna combination. This reason provides a better breeding environment for animals. Hence the number of sheep herded in Turkey is very high compared to other countries. Especially in the eastern parts these lands are called "the lands of heaven” because of their fertility. The principal methods of making leather haven't changed much over the years, but that doesn't mean it is easy. Today there are about 17 Industrial Leather Zones in Turkey which enables us to use modern technology andto produce environment friendlyhigh quality products.With a strong tradition of leather processing dating back to ancient times, Turkey, today is one of the leading countries in producing premium quality products with reasonable price. Since Turkey is not a UN member, the sector is able to offer more competitive prices compared with the UN member countries. In processing of sheep/goat leather, Turkey is second in Europe after and fourth globally.Besides, Turkey is the world leader in fur production with an annual processing capacity of 80 million units. The leather in Turkey is commonly made from sheep, cow and cattle skin going through meticulous procedures before it reaches the customers. 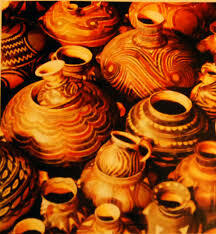 Aside from these treasures, Turkey has been famous for its tiles andceramics. The art of Turkish tiles and ceramics occupies a place of prominence in the history of Islamic art and Middle East. Its roots can be traced at least as far back as the Uyghur's of the 8th and 9th centuries.Ottoman Turks inherited the design and the craftsman ship of Seljuk's Ceramic arts and developed the techniques of ceramic making. The late 15th and early 16th century marks the beginning of a new period in Ottoman tile and ceramic-making. The admirable tiles of Turkey were one of the most important features of the ancient times. Especially in the Ottoman architecture, it is possible to see many fascinating compositions used in mosques and palaces. 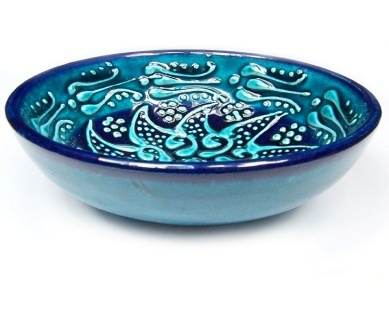 Most traditional ceramic products are made fromclay(or clay mixed with other materials), shaped by hand, subjected to heat and painted by hand after being glazed before reaching its final state which makes them highly unique. Although the traditional designs of stylized prior to 17th century are plant motifs, arabesques, and Chinese clouds appear in the compositions, there is a shift towards a more naturalistic style in which tulips, carnations, hyacinths, roses, spring blossoms, lilies, cypress trees, and clusters of grapes and vine leaves appear. Compositions are relaxed and free, offering greater scope for experimentation with new and richer arrangements. Enriched by the arrival of the Seljuk's, the ceramic industry in Anatolia achieved a deservedly worldwide reputation with the support of the Ottoman court. Still holding true to the influences of design stemming from the Ottoman Empire; the art of Turkish tile and ceramic-making developed over the centuries incorporating many different techniques and styles building a fine reputation for ceramic production in traditional style and in spirit, offering thousands of varieties, shapes, designs and decorations. Turkey is also famous for its rich cuisine and is largely the heritage of Ottoman cuisine, which can be described as a fusion and refinement of Central Asian,Caucasian,Middle Eastern,MediterraneanandBalkancuisines. Turkish cuisine and palatal tastes varies across the country depending on the growing products. The cooking of the Aegean region inherits many elements ofOttoman court cuisine, with a lighter use of spices. The cuisine of theBlack Sea Regionuses fish extensively, especially the Black Sea anchovy(hamsi), has been influenced byBalkanandSlaviccuisine, and includesmaizedishes. The cuisine of the southeast - is famous for its variety ofkebabs,mezesand dough-based desserts such asbaklava, kadayıfandkünefe. The most famous and well known sweet/candy of Turkey, Lokum(Turkish delight), is eaten for digestion after meals and called "rahat hulkum" in the Ottoman era which is an adaptation of sweet and not sweet flavors. Premium varieties of lokum consist largely of chopped dates, pistachios, and hazelnuts or walnuts bound by the gel; traditional varieties are mostly gel, generally flavored withrosewater,mastic,Bergamot orange, orlemon. Lokum was introduced to Western Europe in the 19th century. An unknown Briton reputedly became very fond of the delicacy during his travels to Istanbul and purchased cases of it, to be shipped back to Britain under the nameTurkish delight. It became a major delicacy in Britain and throughout ContinentalEuropefor high class society. During this time, it became a practice among upper class socialites to exchange pieces of Turkish delight wrapped in silk handkerchiefs as presents. To this day the fame of Lokum continues. Turkey welcomes you! Enjoy your stay!